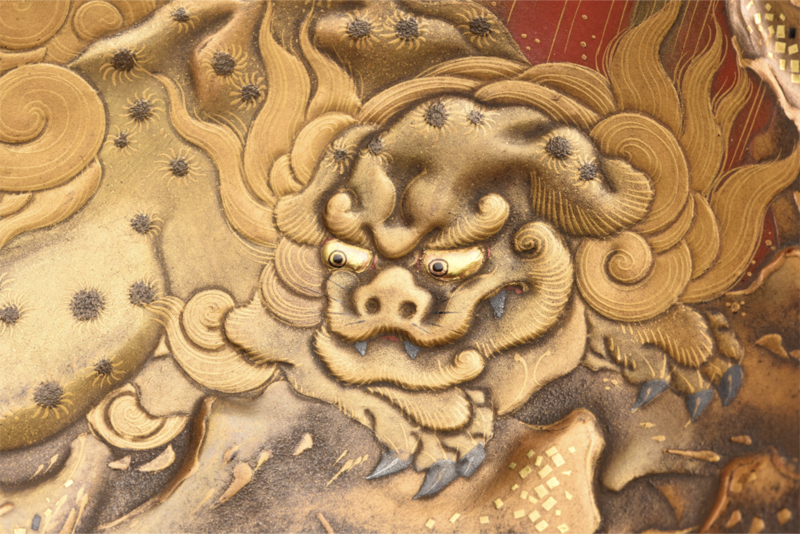 Happy Lunar New Year of the Dog 2018! We wish all our customers a happy lunar new year of the dog 2018! 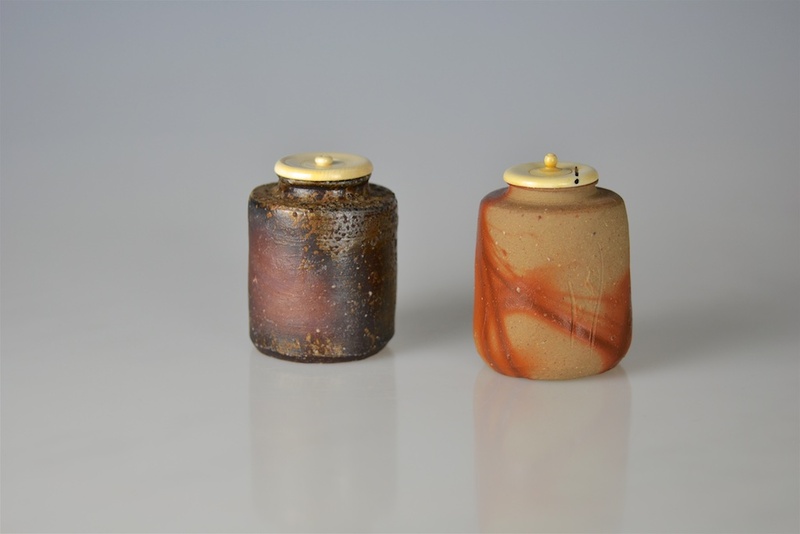 We are offering two distinct fresh water jars made by two generations of Shigaraki potters: Takahashi Rakusai III and Takahashi Rakusai IV. 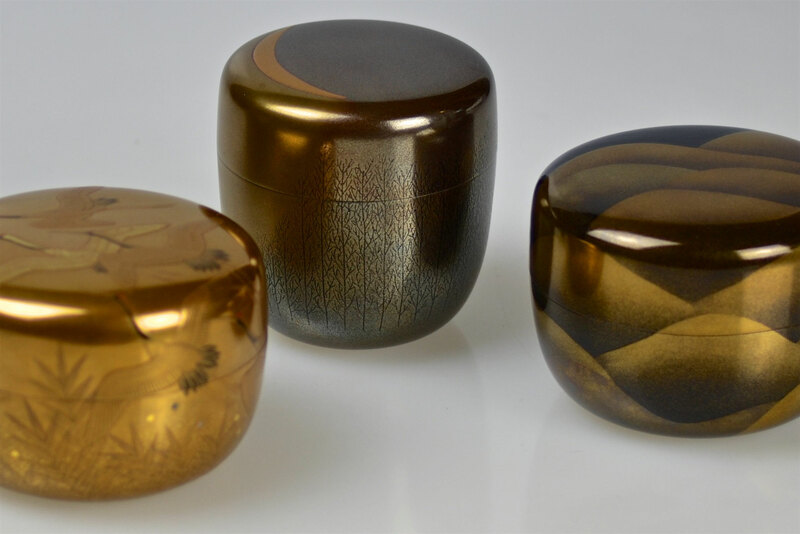 New Acquisitions: Galerie Kommoss is offering some new fantastic golden maki-e lacquer boxes. All are different and we cannot decide which one is the most beautiful. 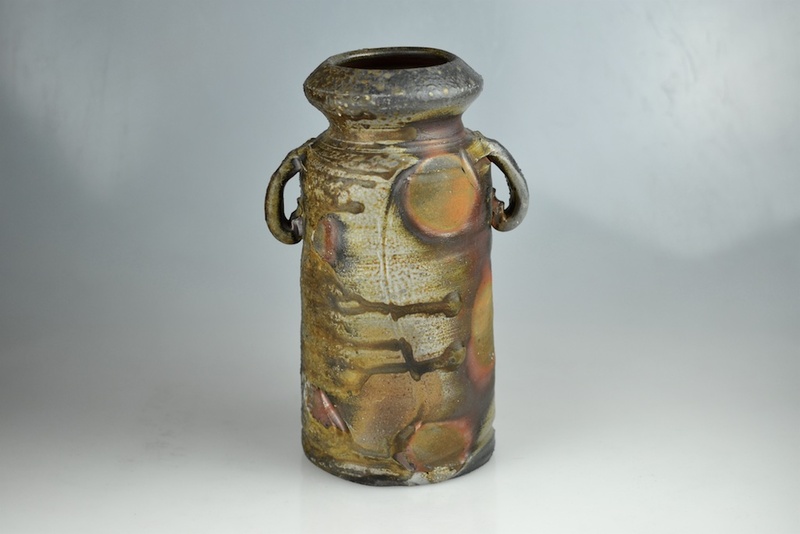 We are happy to announce that we uploaded a new outstanding acquisition: A Bizen Korogashi Flower Vase (Hanaire) by Kimura Sojô (*1945). 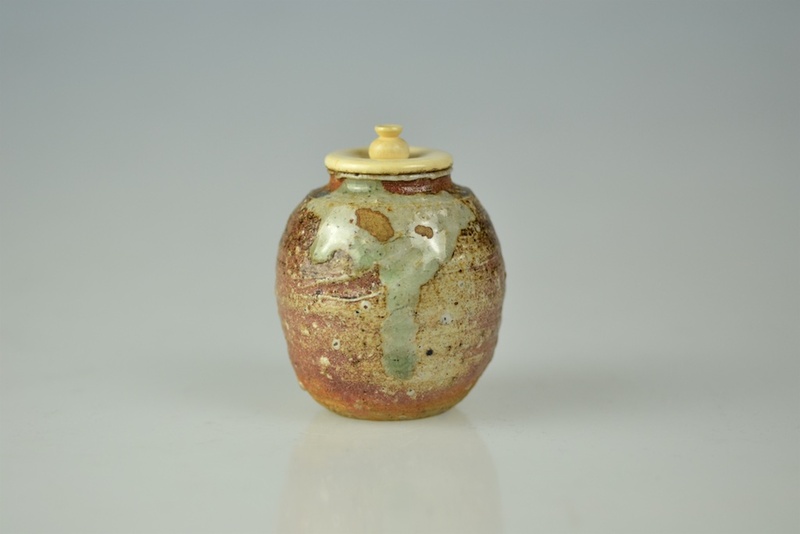 It's our pleasure to inform you about our latest acquisition: This extraordinary tea caddy (chaire) "Green Mountain" was made by Imai Kôjin who is a well acknowledged Japanese potter devoting himself to study Old-Iga ware. 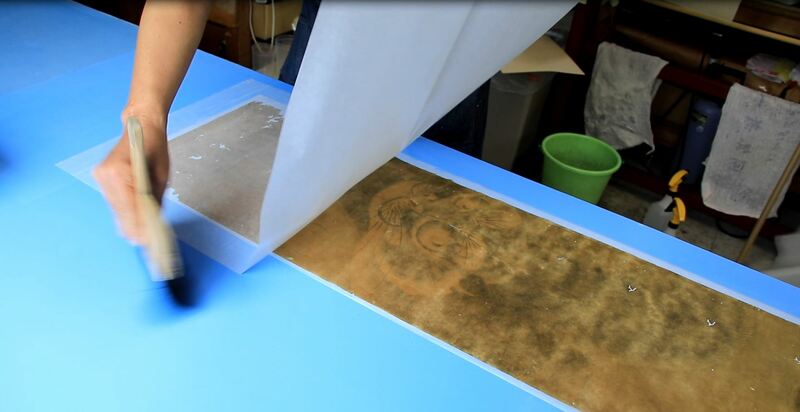 Our fantastic 18th century Nagasaki school tiger painting gets currently a new backing paper. 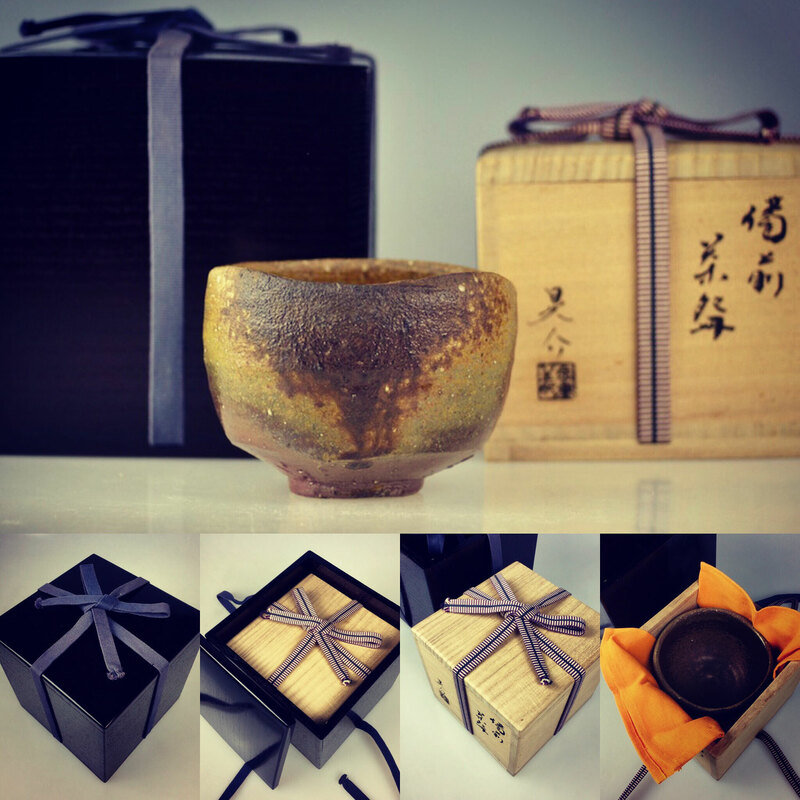 Unwrapping a masterpiece. 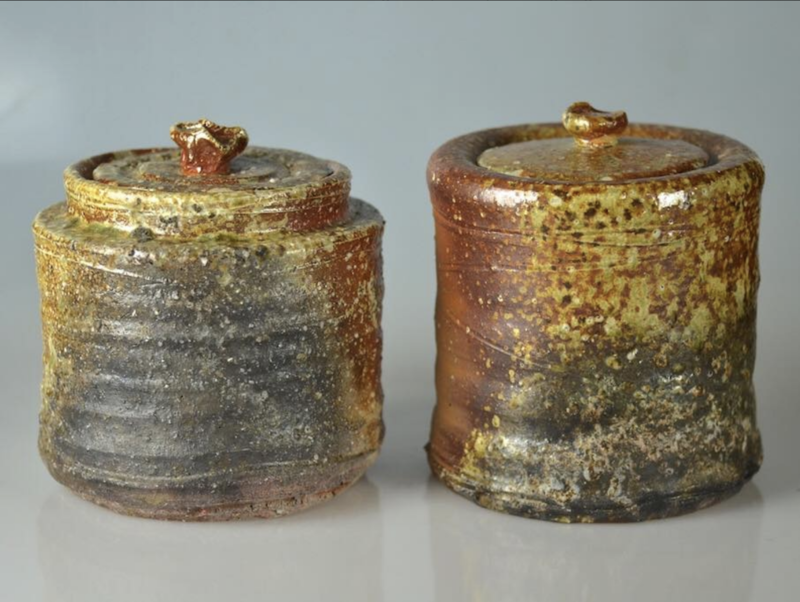 Today we have just added a new acquisition on our homepage: a high-class, double-boxed tea bowl made by Kaneshige Kôsuke 金重晃介 (1943)! 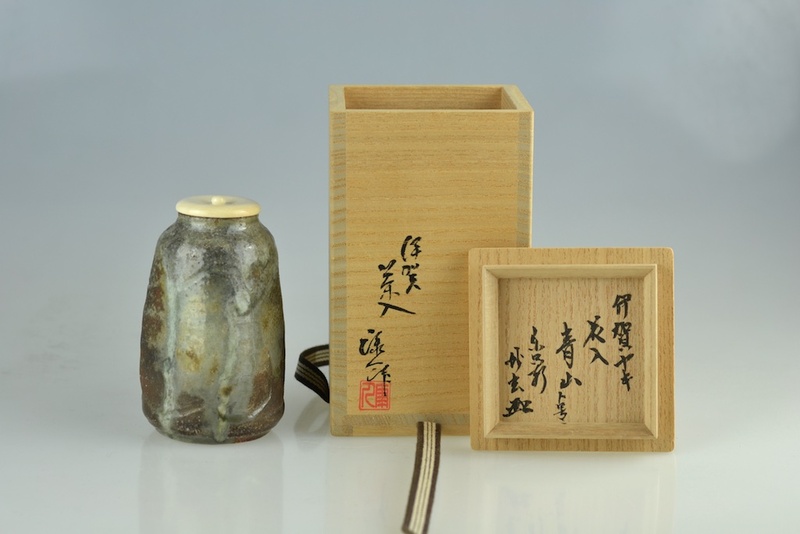 We have just added this beautiful small tea caddy (chaire) made by famous Shigaraki master Ueda Naokata IV 上田直方 四代 (1898-1975). 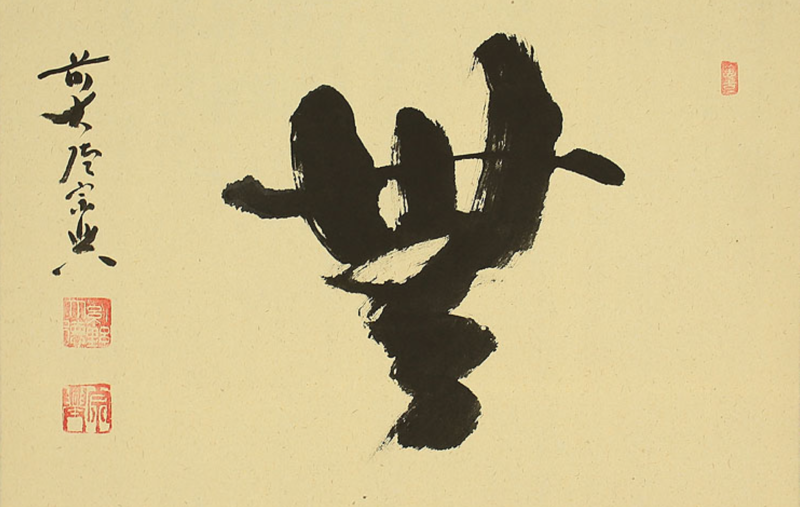 Learn more about the meaning of one of our works: the single-character calligraphy "Mu" (Nothing) written by Zen Buddhist monk Nishigaki Sôkô.